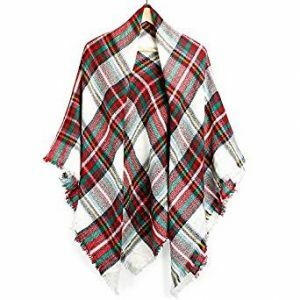 10 Tartan Items that are the Perfect Winter Gift! We have found that Tartan items make for excellent gifts for just about anyone you are shopping for. Not sure what Tartan is? Tartan, in its truest form, is a type of cloth made of wool that is woven in various plaid patterns and traditionally represented various Scottish clans. Today, you can find Tartan similar patterns in just about everything. Plaid patterns are classic and almost everyone likes the appearance, making it a solid gift idea for anyone on your list, even the trickiest people on your list! We have found 10 unique Tartan items that we think make for the perfect winter gift. Including gifts for both men and women, this list may be able to help you finally finish your holiday shopping for the year. What could be better than that? Let’s dive into the items! 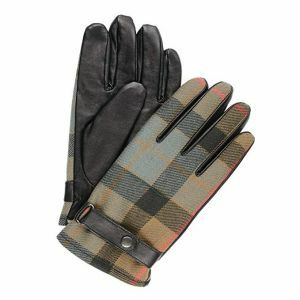 Gloves are always a solid choice as a winter gift, but these perfectly combine functionality with style! 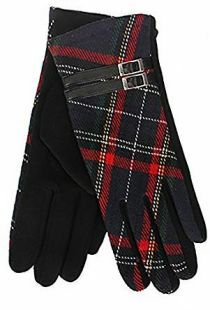 Not only will these gloves keep you warm, they look so gorgeous with the subtle Tartan print, along with the two black buckles as well. Perfect for any lady on your shopping list, and especially if they live somewhere cold! Best of all, these gloves have the proper technology in the fingertips so that you can still use your smartphone while wearing them! Large wraps and blanket scarves have become so popular these days, they are the hottest trend to wear this winter season! We love this green and blue Tartan print wrap and think it would be a perfect winter gift for your sister, coworker, or mother. Best of all, there are so many different ways you can wear this! Use it as a scarf, as a wrap, or as a shawl. This is the perfect winter accessory and will keep you both warm and fashionable all season long. Find this in several other color combos as well if you don’t like the green. Get them in each color, and you’ll have gifts for everyone! We don’t want to forget about the men on your list! Consider getting him this nice Tartan tie- the perfect accessory for the office Christmas party, or going over to visit family on Christmas day. We love that this tie is festive without being over the top. You don’t need a tie with Santa Claus on it to have it feel festive (not that there is anything wrong with a good Santa tie!) Made in Scotland, this is one of the more authentic Tartan items on this list, perfect for anyone who is interested in the actual history of the Tartan print. If you want to get something a little different for the men on your list, go with this Tartan print scarf! Yes, scarves are a perfect gift for men as well as women, and we think this is a great idea for any guy who spends a lot of time outdoors during winter. Once they wear a scarf once they will realize why it is such a great accessory- they’ll be warmer than ever! In the classic red Tartan print, this is a great way to add some style to any guy’s wardrobe without going too far outside his comfort zone. Plus, you know any guy would likely not buy this for himself, so it makes for the perfect gift! We love this fun Tartan print Scottie dog charm and think it would make a great gift for any lady on your list, or even a little girl! 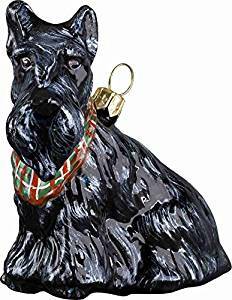 Hang it on your keys or hang it off your purse, this is a cute little accessory that combines the Tartan print with the iconic Scottie dog. This would make for a perfect white elephant gift or as a stocking stuffer and is a unique take on the Tartan print. If you don’t want to go with an article of clothing, this is a great way to incorporate the print in a different way! Winter is of course the most popular hat season, as they are necessary to keep your head and ears warm. But who says they don’t have to be fashionable as well? 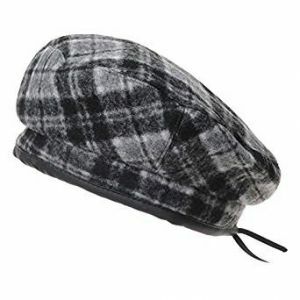 We love the vintage look of this wool beret, especially combined with the Tartan print. A unique take on the classic cap, this is a great gift for anyone who loves a nice throwback when it comes to their fashion. Complete with a leather band at the bottom, this is a gorgeous, well-constructed hat that is sure to keep your head warm and get you plenty of compliments. It’s a win win, and a perfect gift! We couldn’t resist adding in this gorgeous Tartan dress to our list! 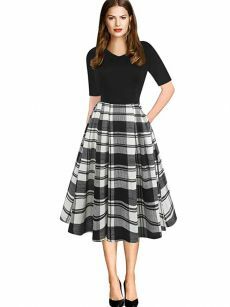 This vintage inspired dress features a tea length hem, full skirt, high neckline, short sleeves, and of course the Tartan print. And did we mention- it has pockets! A perfect blend of modern and vintage, we think this is a beautiful dress and a great holiday gift for any woman on your shopping list that has plenty of parties to attend. Dress this dress up with a nice pair of heels, a handbag, and some jewelry, and she will be ready to attend her Christmas or New Years Eve party in style! here’s no reason you can’t add some style into your winter wardrobe, even when you live somewhere incredibly cold! We love this print and think it is a perfect gift for just about any man on your gift list. 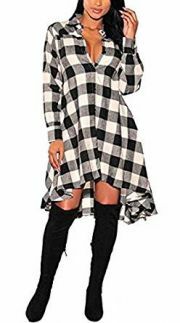 If you are shopping for someone younger and want to get them something unique, why not go for this Tartan casual shirt dress? This dress perfectly takes the classic print and combines it with a modern silhouette. Perfect for the fashion forward lady in your life you are shopping for! Paired with some tall boots, this is an excellent casual outfit to wear during the winter. Best of all, it comes in several shades with the same distinct Tartan plaid design, so you can choose what you think she will like best. The black and white design is classic, as is the distinct red shade. Or, go with something unique and choose blue, or go full on vintage with brown and yellow! Finally, we couldn’t resist adding these cuff links to our list. Cufflinks always make for a great gift, as most men don’t think to buy them, but they really make a huge difference when wearing a suit! 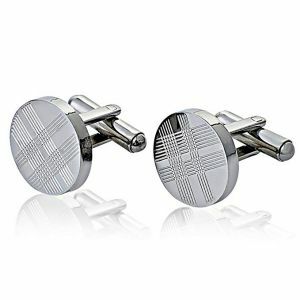 Perfect for adding the final touch to their outfits during the holiday season, these cufflinks are unique and modern, yet classic. The tartan pattern is engraved on the cufflinks- perfect for any guy on your list who you don’t think would wear anything with a bold pattern of any kind- even Tartan. This is the perfect compromise, and he is sure to receive so many compliments on them! No matter who is left on your shopping list, we are sure they would enjoy one of these Tartan items as a gift! Perfect for the cold weather, or simply to add a little style to their wardrobe, these items are timeless and won’t be going out of style anytime soon. 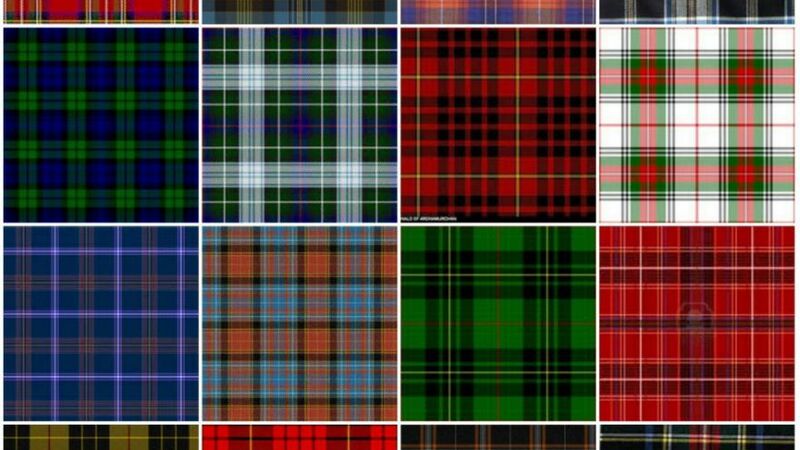 Which is your favorite Tartan item? Maybe you can do a little shopping for yourself while you are at it! We won’t judge – it’s okay to treat yourself every once in a while! Happy shopping!